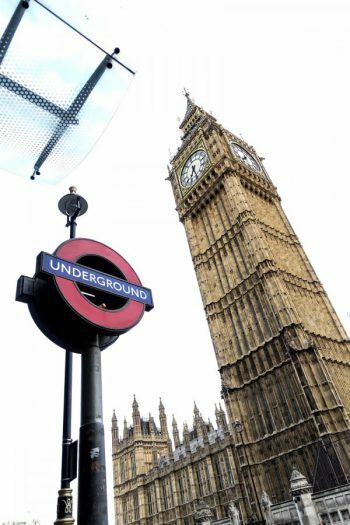 Happy Monday, happy new week! 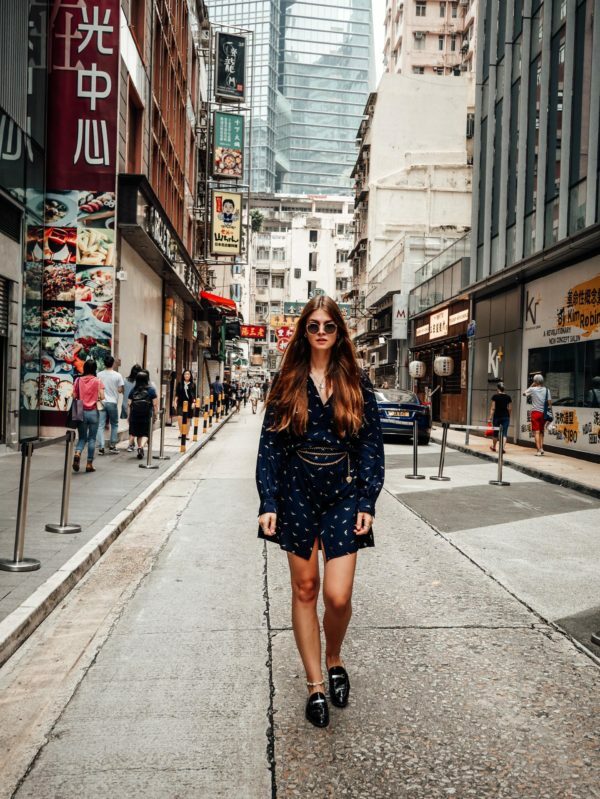 Let’s start this new week with one last outfit post from Hong Kong. I know, you guys can’t wait for all the pictures from Indonesia, and I promise, I will start sharing them later this week. But I also don’t want to keep back the pictures from Hong Kong, so let’s finish off with them first. 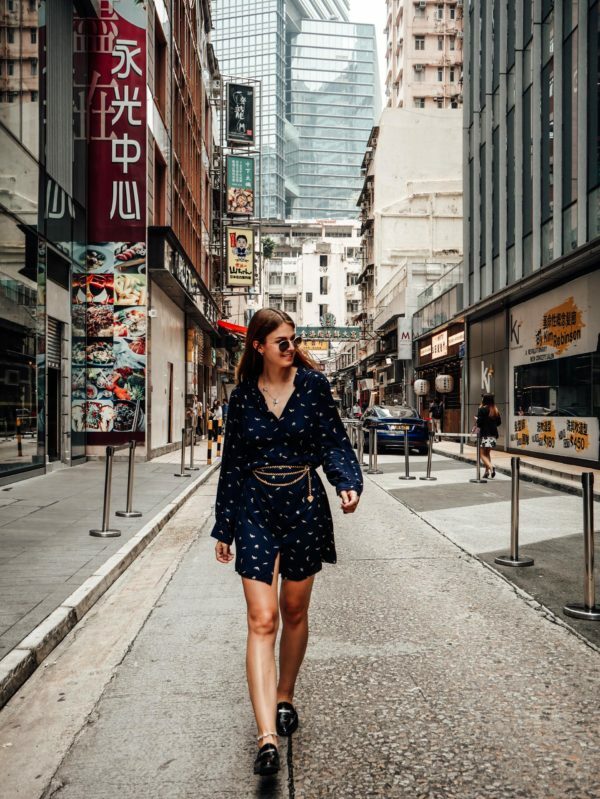 Today I am sharing an outfit I was wearing for another day in Wan Chai, or better said for a forenoon in Wan Chai. 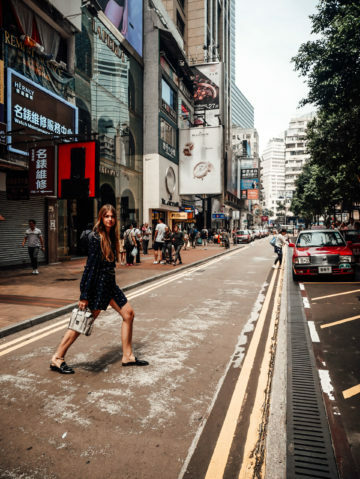 We wanted to explore the area a little bit and check out Times Square, a mall in Wan Chai. Since it was another hot and humid day in Hong Kong, we ended up in the shopping mall and didn’t explore that much haha. 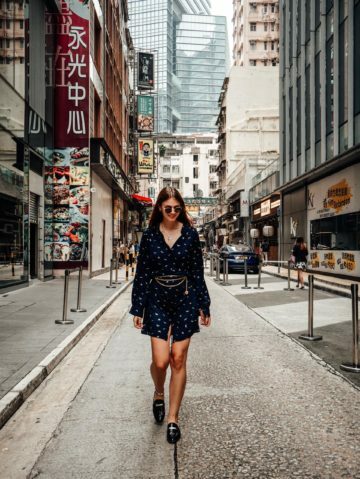 I already talked about Wan Chai in my last Hong Kong post, so I will skip this part today and get right to the outfit details. 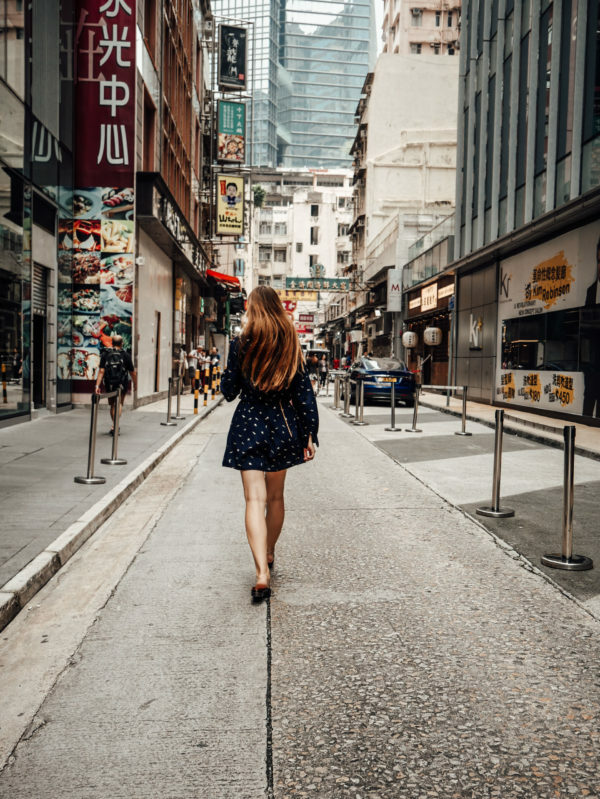 Since we wanted to see Times Square, which is a shopping mall, I didn’t go for the top and shorts combination I usually wear on hot summer days. Instead, I put on a blue shirt dress I just got in time for our one-month-travelling. 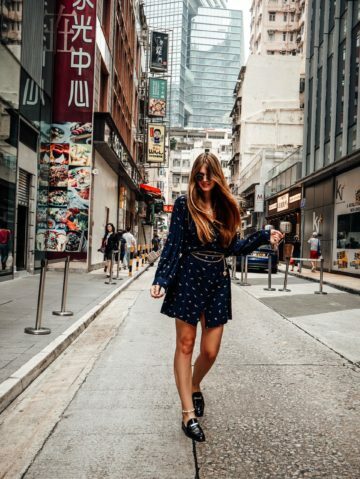 Of course, we’ve had only summery temperatures, but bringing something with long sleeves for the evenings or in the case of Hong Kong for the malls, was one of the best decisions. 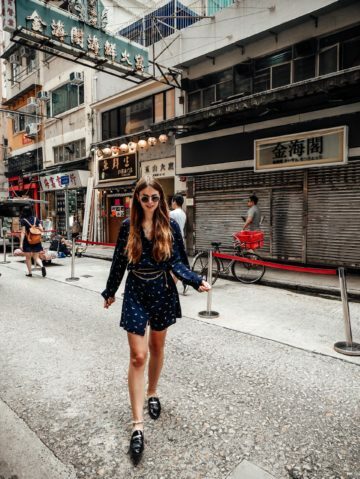 I combined this shirt dress with a chain belt, put on a pair of mule sandals and black sunglasses, and I was all set up for another visit to a shopping mall. It actually is one of my favourites outfits from Hong Kong. I do like the dress a lot, especially in combination with the chain belt. And I actually didn’t really mind wearing it outside on that hot day in Hong Kong as the fabric is very airy and light. I also like the cut and print of the dress, and I already know, that I will wear it more often once I am back in Berlin. Let’s just hope that it won’t be too cold as soon as I am back and that I can still wear some of my autumn dresses with bare legs and without freezing. How do you like the dress and what do you think about the outfit combination I chose? 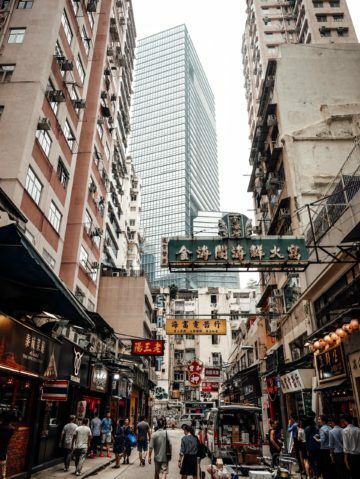 Is Hong Kong worth a visit?